The Economic and Financial Crimes Commission EFCC, has decided to send evidence linking Nigeria's ex Petroleum Minister, Mrs. Diezani Alison-Madueke, to the $115million (N23, 299,705,000billion) poll bribe to the National Crime Agency (NCA) in the UK, according to recent reports. “So far, we have questioned more than 30 people nationwide in connection with the N23, 299,705,000billion bribery scandal. But in Lagos, we have the big ones in custody who are helping the ongoing investigation," someone familiar with the matter said. “As I speak with you, we are still keeping the Managing Director of Fidelity Bank Plc, Mr. Nnamdi Okonkwo, and the bank’s Head of Operations, Martin Izuogbe. 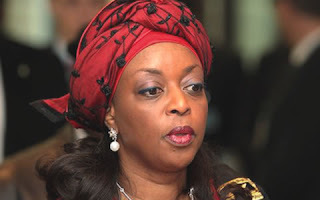 They were central to the disbursement of the bribe cash of $115million received from a former Minister of Petroleum Resources, Mrs. Diezani Alison-Madueke. “We will send all findings at our disposal and relevant documents to the National Crime Agency (NCA) in the UK," the person added. “The fact that some of the beneficiaries have started refunding part of the $115million bribe sum has made our job easier. We will make this evidence available to the appropriate agency in the UK.